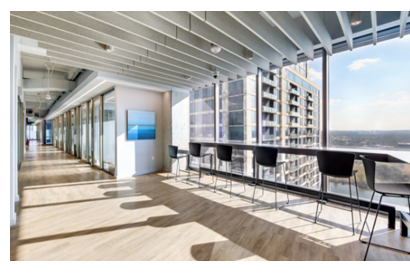 ​​ AUSTIN – Firmspace, a luxury co-working suite, has opened an Austin location in downtown Austin. The 33,000-sf space is located in the same building as Google at 500 W. 2nd St. on the 19th floor. The location features 360-degree views of Lady Bird Lake and downtown Austin. The site is the company's flagship location, with versions planned in Houston, Atlanta and Denver. ​Check out ​more office stories across Texas.